This weeks Etsy find is from Karen Torres from etsy store SewMuch2Luv (which BTW is an awesome store name). 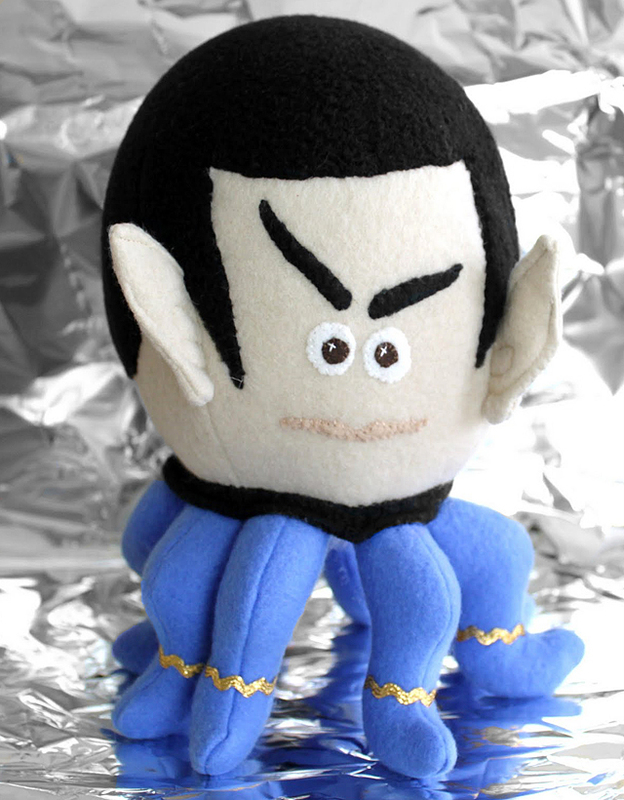 She has created a Spock/octopus Hybrid plushie, cleverly titled "Spock-topus". The stuffed animal is 9" tall and is available for special order only. You can purchase it here.